Executives, innovators, and individuals come to the Susan Arnold Equine Assisted Learning Program to build advanced leadership and self-development capacities including non-verbal communication, self-awareness, and collaboration skills. With the help of the horses, you will learn to enhance your influence, respond to change and inspire those around you. Trauma: Working in conjunction with a qualified therapist, horse assisted coaching can accelerate progress and minimize the emotional pain of Trauma Release experiences. 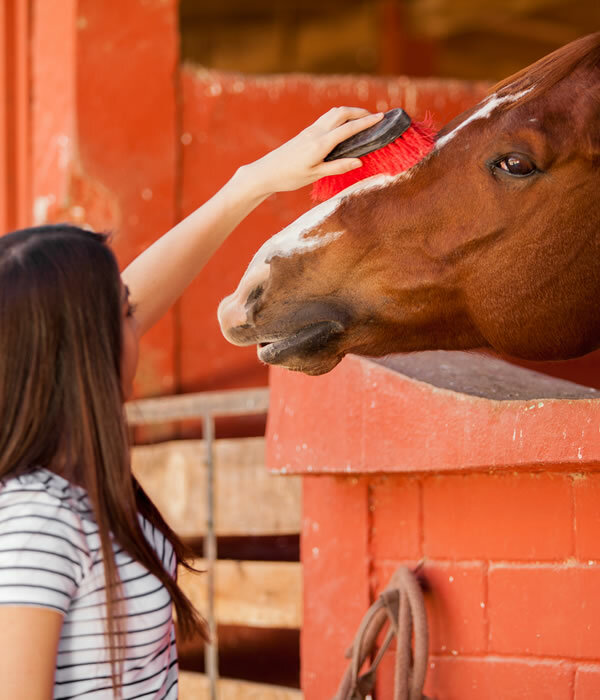 Family and Relationships: Working with the hoses and coach, high levels of awareness develop as the client(s) experience healing and emotional safety from the horse. For groups or individuals – instant feedback is provided by the horse. Managing Challenges: Equine assisted coaching can help people recover from business or personal setbacks when working with horses. The horses provide ready access to emotions associated with setbacks and major life challenges such as grief, divorce, ADD, and stress. Teen Stress (and all ages): Horses offer encouragement, hope, love and acceptance. Leadership Development: Discover and enhance your natural leadership skills with the horses. Additional “homework” co-designed by the coach and client(s) to deepen their learning and forward their action.